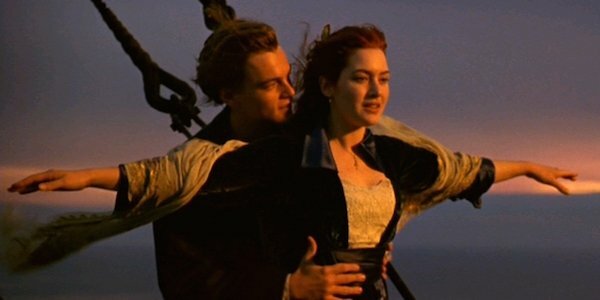 Years back, James Cameron's Titanic grossed $2 billion dollars (second only to Avatar) as it skyrocketed the careers of both Kate Winslet and Leonardo DiCaprio. Recently, however, we came to learn that the role of Jack Dawson in the epic ocean-romance, disaster pic almost didn't go to DiCaprio, but to a lesser-known actor who goes by the name of Jeremy Sisto. That was one of the many, many jobs I didn't get. It's always fun to see a movie that you know really well and love with this alternate universe person in there. So while I was a little embarrassed to reveal one of my many failures in life, at the same time I couldn't deprive Titanic lovers of seeing that alternate universe. While Sisto didn't really discuss whether he thought his rendition of Jack Dawson would have superceded that of his fellow actor, he did elaborate on his love for the film itself, showing great respect for James Cameron's epic masterpiece. There's no doubt Sisto's career would be in a different place had he landed the sought after role of Jack Dawson in Titanic, but the dramatic/comedic actor doesn't seem to be all that broken up about it. After all, had he landed the part, we may not have gotten to see his brilliant performances in shows like HBO's Six Feet Under and films like Adrienne Shelly's Waitress. Whether or not the lost Titanic opportunity affected Sisto's career earlier on, it doesn't seem to have much of a hold these days as the Robot & Frank actor has a relatively busy schedule ahead. Among the many projects (at different stages of development) on his docket, he set to appear in the above-mentioned horror drama series The Returned and is voicing Talon in the upcoming animated Batman vs. Robin movie.